Crowdfunding is one of the most effective ways of generating funding to help get startup projects off the ground. Many popular crowdfunding sites, such as GoFundMe, Kickstarter, and Indiegogo have helped budding entrepreneurs generate enough revenue to pursue their dream venture. In fact, Kickstarter has funded around 151,286 startups with $3.2 billion raised in revenue! According to surveys, a Kickstarter campaign is 85% more likely to receive funding if it features a promotional video. So how can you successfully appeal to potential investors through video content? Here are a few tips. Your crowdfunding video should be able to answer these questions really well. Storytelling is a powerful and impactful way of getting your message across. Everyone loves to listen to a good story, and the mission of your crowdfunding video is to create a compelling one. Determine what the purpose and goals of your venture are and what led you to pursue the idea in the first place. 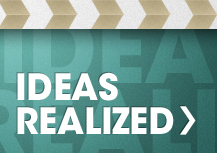 Next, you should figure out how you’re going to conceptualize your story and present it to the viewer. What do you want the mood or the tone of your video to be like? Do you want it to be a deeply inspiring look inwards or an energy-packed, motivational experience? 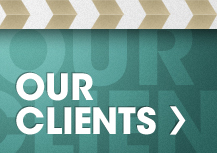 Do you want to present your content in a humorous or serious way? The tone of your crowdfunding video should also depend on what kind of services or products you’re offering. Bad news, humans have an attention span that is one second shorter than a goldfish’s! So, you have to be quick with your bait or the fish won’t take it, metaphorically speaking. Try to deliver you message in the first 30 seconds of the video. The message should be loud and clear and should explain to the investor why they should help turn your venture into reality. 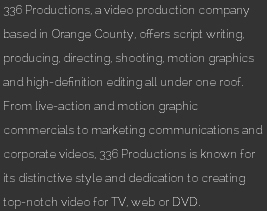 Our production company, 336 Productions is an award-winning video production company in Orange County, CA. 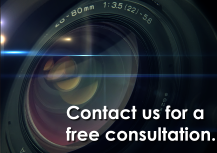 We help with top to bottom video creation, and offer the full range of corporate video services.